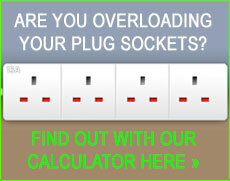 Why to choose us as your local Uxbridge electrician? If you are looking for an Uxbridge Electrician, dkp Electrics can help you as we are specialists in electricity and electrical work. Our highly professional Uxbridge electricians can carry out work in your area of London. Our team work with everything from audio sound and under floor heating to boilers, ovens and even garden power, lighting equipment and patio heaters, which are becoming ever more common in the London suburbs. We offer many services within the trade and are capable of carrying out all of your electrical needs. Being an NICEIC approved electrical company there is no job that can’t be done, from simple fault finding to rewiring, whatever needs to be fixed on your premises, we will gladly oblige. If its energy saving services that you are interested in finding more information on then we can provide accurate advice to you with ways of keeping your energy costs down. We will also explain the services that we offer here at dkp Electrics such as getting solar panels installed on the roof of your house, a measure that in the long term can be an excellent money and energy saving strategy. All electrical work will be carried out to the highest possible standard and in compliance with the latest wiring regulations, so you know you’re in safe hands here. Uxbridge, near Hayes which is located within the West region of London, is probably better known for the area of Hillingdon, just up the road from Denham. This is an area very popular with dkp electrics as we have carried out a huge amount of electrical jobs and services in this area for many years. A prime example of work carried out here includes jobs like installing CCTV for property security. This CCTV can even be viewed through your computer or smart phone via the Internet, making it technology appropriate. Just so you can relax at home without needing to worry about any electrical problems that may occur, dkp electrics can get an electrician out to your home in Uxbridge UB9, UB10 to fix any faults, 24 hours a day, 7 days a week. We can also supply electricians in Hillingdon, Hayes and Greenford at any time of day or night which makes us accessible in terms of being able to locate you. To discuss your electrical needs with an Uxbridge electrician then contact us today for a free quote!